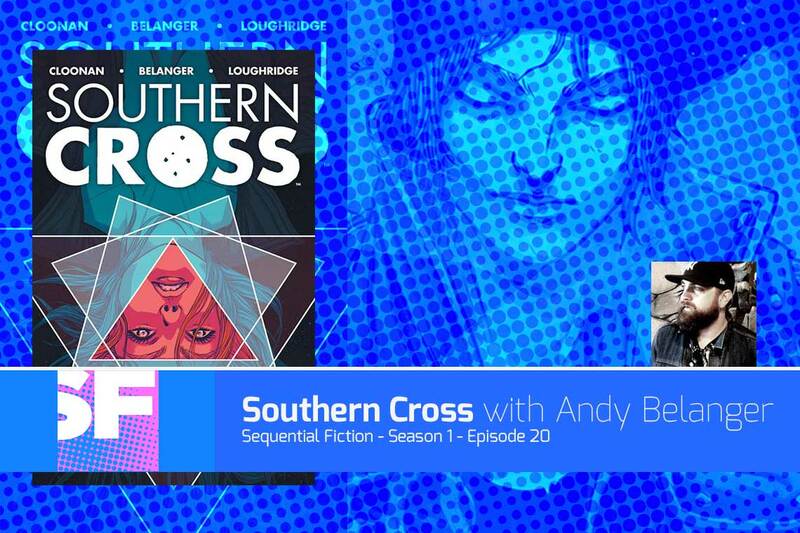 This week on Sequential Fiction Brian interviews the artist of Southern Cross – Andy Belanger. We talk about what went in to creating the sci-fi space epic, what it’s like working with writer Becky Cloonan, how long the story has been in development, and what we can expect from the next volume of the series. It was a great interview, and we touched on everything from the great support of Image Comics, and how much of the industry Image is influencing, to the problem of kids not getting into comics anymore. Andy is a lot of fun to talk to, and we had a really great chat that I think any fan of comics will enjoy. Visit AllNewComics.com today to experience their brand new website, with thousands of new comics, trade paperbacks, accessories, and more available for purchase 24 hours a day, 7 days a week. All New Comics is your Canadian Online Comic Book SUPERSTORE! Our Comic Pick of the Week this week is Southern Cross Volume 1. If you haven’t read Southern Cross yet, I highly recommend it. It’s a cross between 1970’s and 80’s sci fi like Alien and Blade Runner, with a healthy dose of Event Horizon thrown in for good measure. The Publisher’s Summary: Now boarding: Southern Cross, tanker flight 73 to Titan. Alex Braith is tracing her sister’s steps to the refinery moon, hoping to collect her remains and find some answers. The questions keep coming though—and they lead her down a path of intrigue, betrayal, and galactic horror.